In this series of three workshops poet and author Michelle Cahill will teach on aspects of poetic craft: image, metaphor and voice. 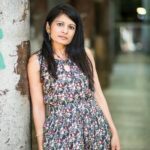 The focus is on how writers can best hone their language and sensibility to communicate lyric and narrative from and about Western Sydney , threading and reinvigorating culture, home, history and community. Poetry can be a powerful energy, rupturing the heteronormative with the strange, the alien, the haunted, the natural, the surreal. Where: 91B Grose Street, North Parramatta, NSW 2151. WestWords Centre for Writing. Michelle Cahill’s short story collection won the UTS Glenda Adams Award in the NSW Premier’s Literary Award. She is the author of three collections of poetry. Vishvarupa was short-listed in the VPLA and her latest collection is The Herring Lass.